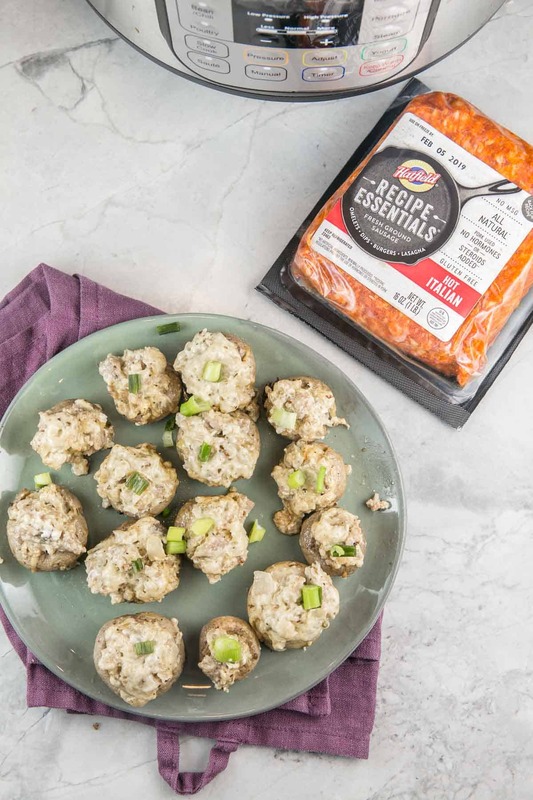 Sausage stuffed mushrooms are a classic party food. 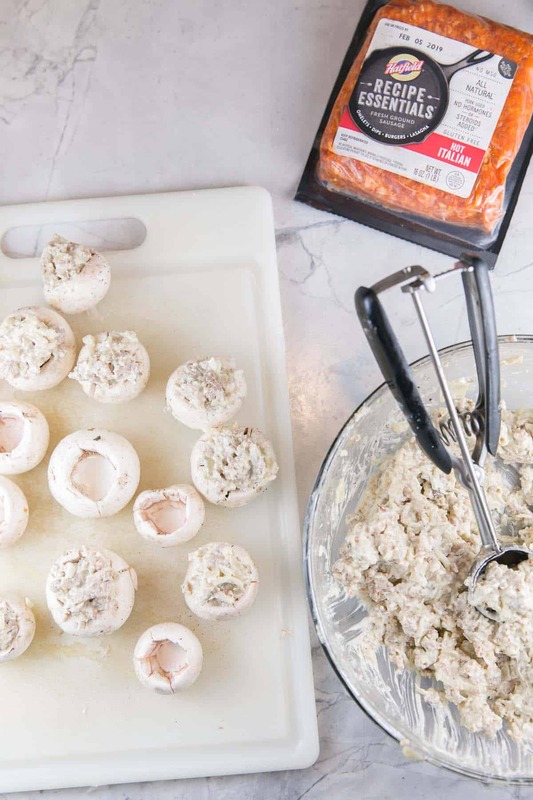 Leave the oven free for all your other dips and desserts, and upgrade to Instant Pot Stuffed Mushrooms — fewer dishes, less time, more flavor. Bite size and hearty, they’re the perfect football party or entertaining food. It’s really, exceedingly rare to have a ‘new idea’ these days in terms of food. With ten zillion food blogs on the internet, nothing is a brand new, novel idea anymore. 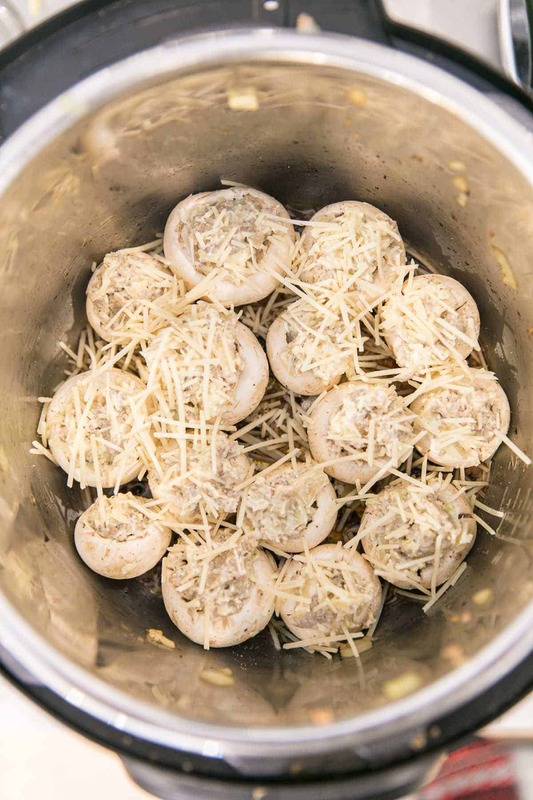 Which is why, when I was thinking about entertaining recipes for football parties, I was really, truly shocked to find that, as of today, there are no recipes on the internet for small, bite-sized, appetizer-style stuffed mushrooms made in the Instant Pot. There are two recipes for the big portobello mushrooms turned into a mushroom pizza in the Instant Pot (which sounds delicious), and lots of recipes for cooking whole or sliced mushrooms to serve as a side. But putting things in the small mushrooms? No one seems to have done it yet. Which kind of made me think this might be a big fat failure. So of course, I had to experiment. Not only were these Instant Pot stuffed mushrooms decidedly not a failure, this may very well be my new favorite way to make stuffed mushrooms, period. 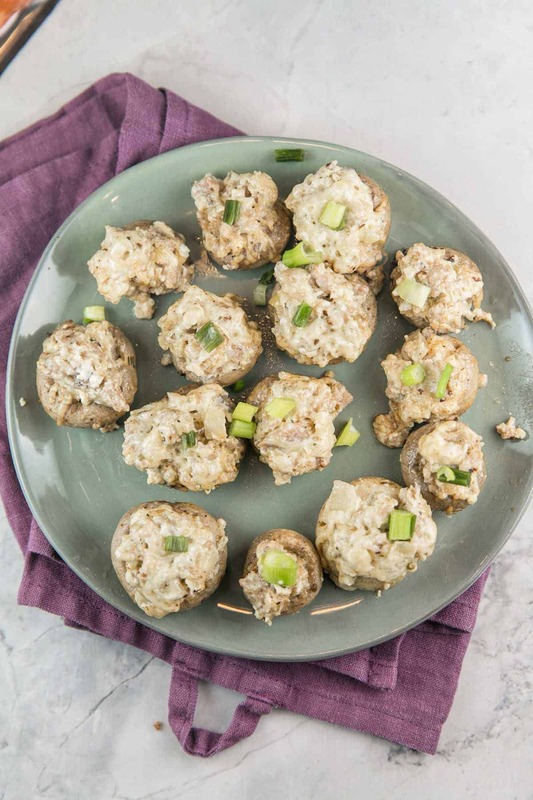 Why Make Instant Pot Stuffed Mushrooms? You’ve made them for years in the oven. Why switch now? Well, there just so happens to be a much-anticipated football game coming up next weekend. (The Big Game, if you will.) You’re probably having lots of people over to watch and making lots of food. This means your oven is already going to be full, with things like this cheesy bacon corn dip, spinach and artichoke biscuit skillet, taco stuffed mini peppers, and sheet pan nachos. How are you going to fit the stuffed mushrooms in as well? Easy — you put them in the Instant Pot instead. Because these are pressure cooked with steam, they stay super moist. Have you ever had stuffed mushrooms that really dry out and shrivel as they bake or grill? No such thing with Instant Pot stuffed mushrooms. They stay super juicy – and delicious. And let’s not forget quite possibly the best part: because the Instant Pot has a sauté function, we’ll make the filling right in the Instant Pot. Which means… one less dish to wash at the end of the night. No one likes doing dishes, and even less so after your party for The Big Game. 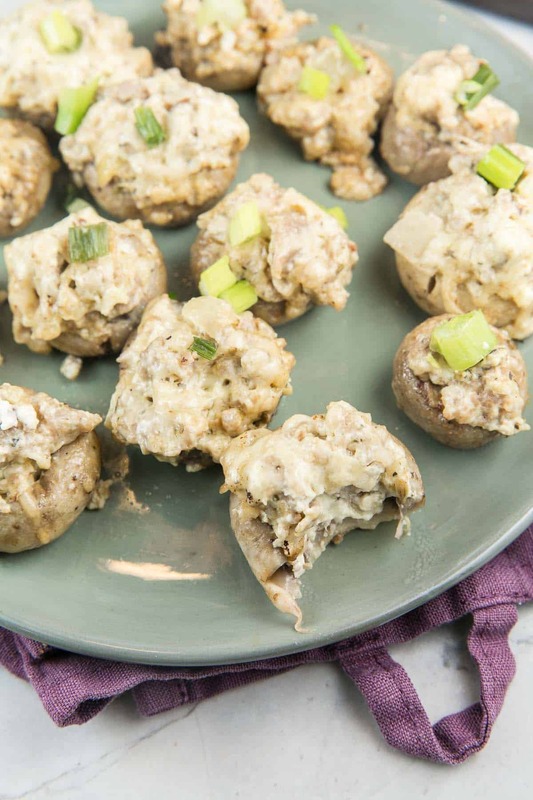 Sausage and cream cheese is the classic stuffed mushroom filling, and why mess with a classic? It’s a well-loved flavor profile (what is it about sausage and football that goes so well together?!). It takes a vegetable and turns it into a hearty (but still low carb!) football party food. 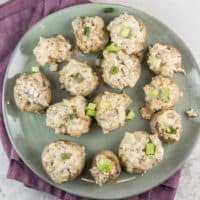 I opted to use Hatfield Recipe Essentials ground sausage for these instant pot stuffed mushrooms. We love Hatfield because it’s a family-owned company using ethically raised practices to produce all natural pork products. (And of course, it’s delicious, too!) Read more about Hatfield’s great lineup of products and their ethical stance here. 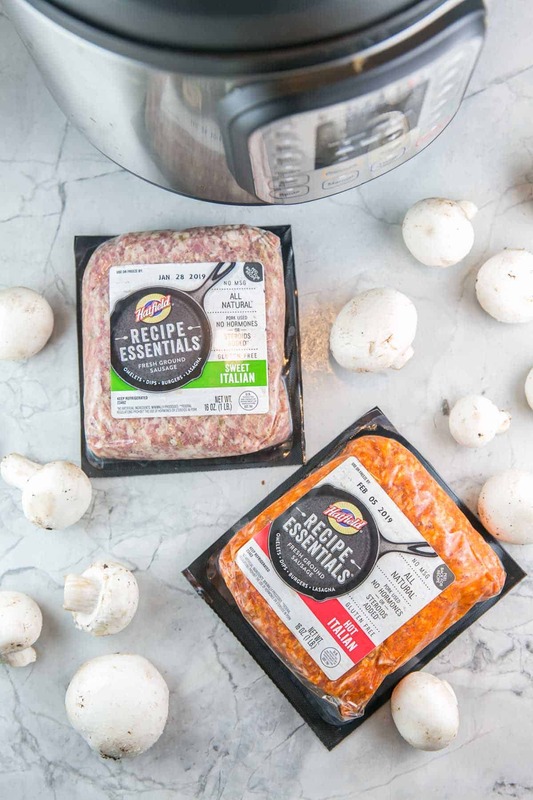 I really like the Hatfield Recipe Essentials line because the sausage already comes perfectly flavored — no need to worry about measuring and adding lots of spices when you’re in busy party prep mode! 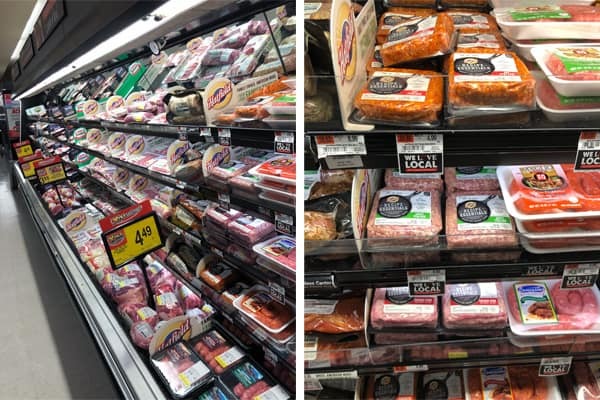 I also love the flavor variety: make a batch with the Hatfield Sweet Italian Ground Sausage for those who prefer things on the mild size, or grab a package of the Hatfield Hot Italian Ground Sausage or Hatfield Chorizo Ground Sausage for those who like to bring the heat! I happened to pick mine up at Acme while I was shopping for all our other entertaining needs. It’s time to stock up on all the party essentials for The Big Game! First up, cook the sausage. Because we’re using Hatfield Recipe Essentials ground sausage, this is super easy: we really don’t need to add much flavor. Add the sausage to the Instant Pot on the “saute” setting and cook until the sausage is almost completely browned and cooked through. Add in one small diced onion and two minced cloves of garlic and cook for a few minutes, until softened. Scoop out the sausage mixture into a bowl and mix in some cream cheese, egg yolk, panko, and shredded mozzarella cheese to make the stuffing. Next, pour some chicken or vegetable broth into the Instant Pot. This serves two major functions. (1) This allows us to deglaze the pan, which is very important. The Instant Pot cannot come to pressure properly if there are burnt bits of food stuck to the bottom, so we have to scrape these up. (2) Adding some broth to the pot provides the liquid necessary to bring the Instant Pot up to pressure. 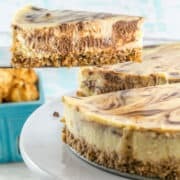 Using a small cookie scoop or a tablespoon, scoop some of the sausage mixture into the cleaned, de-stemmed mushroom caps. Sprinkle with a little extra cheese, set the lid on tightly, and set the Instant Pot to manual pressure for 6 minutes. It will take 8-10 minutes to come to pressure. After 5 minutes, immediately release the steam. Scoop out the mushrooms using a slotted spoon (leave the extra broth behind! ), sprinkle with chopped green onions, and serve while still hot and the cheese is all melty. 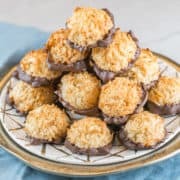 How can I Use Extra Stuffed Mushroom Filling? This recipe does make quite a lot of filling. Of course, the easy answer is: make more stuffed mushrooms! Go ahead and put the next batch right in the Instant Pot after you pull out the first, because that first batch will disappear before the commercial break is even over. But okay, okay, you don’t need all those stuffed mushrooms for your party? Rather than halve the stuffing recipe (which you certainly can do! ), I love to take the extra filling and put it into stuffed shells, or layer it in a lasagna. So basically, a delicious appetizer for your football party and dinner for the week. Now we’re really talking. Bite size and hearty, stuffed mushrooms made right in the Instant Pot are the perfect football party or entertaining food. Clean and destem the mushrooms. Set aside. Turn the Instant Pot on the 'sauté' setting. Add the sausage and cook, breaking apart with a spoon, until browned and fully cooked. Add in the onion and garlic and cook an additional 3-4 minutes, until softened. Scoop this mixture out of the Instant Pot into a large bowl. Add in the cream cheese, egg yolk, panko, and shredded mozzarella. Mix to combine. With the Instant Pot still on the sautee setting, add in the vegetable broth and use a wooden spoon to deglaze the pan, scraping up any browned bits of sausage stuck to the bottom of the pot. Turn off the Instant Pot. Seal the Instant Pot lid and select the manual mode, with 5 minutes of high pressure. The pot will take approximately 8 minutes to come to pressure. Once the cooking is complete, quick release the steam and remove the lid. Remove the mushrooms with a slotted spoon to a serving dish. Sprinkle the green onion on top before serving. I adore stuffed mushrooms! My favourite version is stuffing them with cream cheese and hazelnuts, but I always made them in the oven. 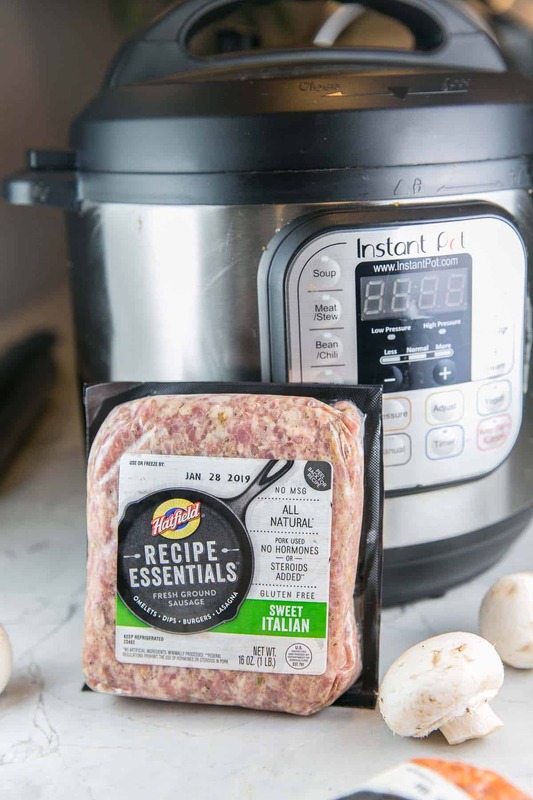 I recently got an instant pot but haven’t had the time to figure it out (it’s a completely new experience to me) but I will definitely want to try making them in it next time! Thanks for experimenting and sharing your findings!! 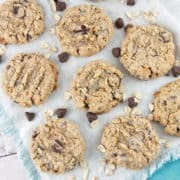 Who knew the instant pot could make these!?! What a great appetizer and I am adding these to my Super Bowl menu. You make these stuffed mushrooms look so easy. 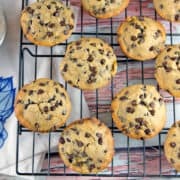 I have never attempted to make them at home, because I always thought they would be to challenging for me. Stuffed mushrooms are my weakness! How does anyone stop at just one! These look delicious. 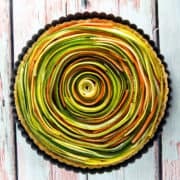 Definitely making some this weekend! This is an excellent idea! It’s so rewarding to dream up something delicious and have it turn out this excellent, isn’t it? Congrats on such a great recipe! Oooh these look amazing! 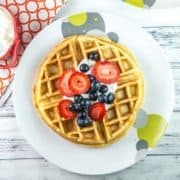 I’ve been loving my Instant Pot but have yet to try anything like this. Stuffed mushrooms are such a big favorite in my house, so this ultra exciting!! Mmmm, stuffed mushrooms like these are my favourite! 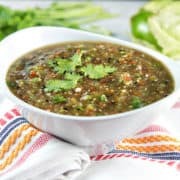 I’ve not got an instant pot but I see so many tasty recipes using them, I feel like I might have to give in and get one soon. These will be on the top of my list when I do! 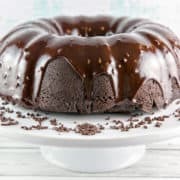 I just made my first recipe in my brand new instant pot and here I come across another great one! I’ve not even heard of stuffed mushrooms but they look and sound amazing! Interesting observation about the lack of stuffed mushrooms recipes on the net. 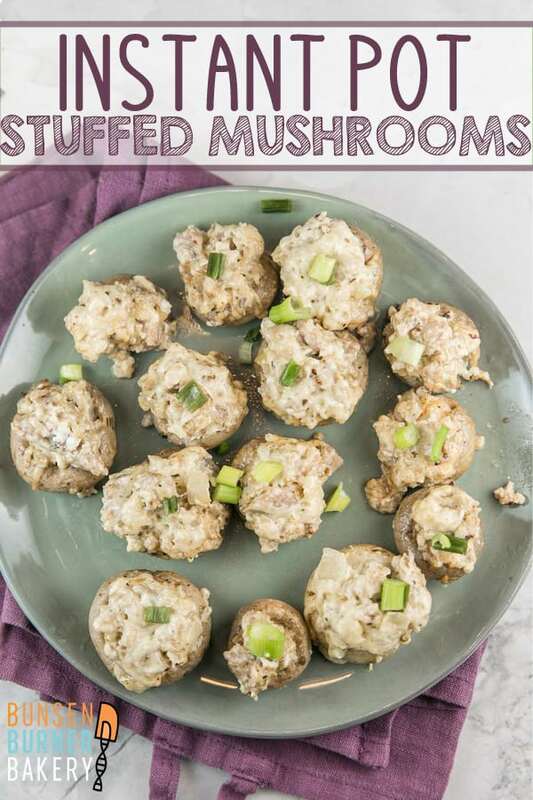 Wow these stuffed mushrooms look delicious! Loving the flavour combos in here. I need to get an instant pot asap. Pinning to try this once I do!